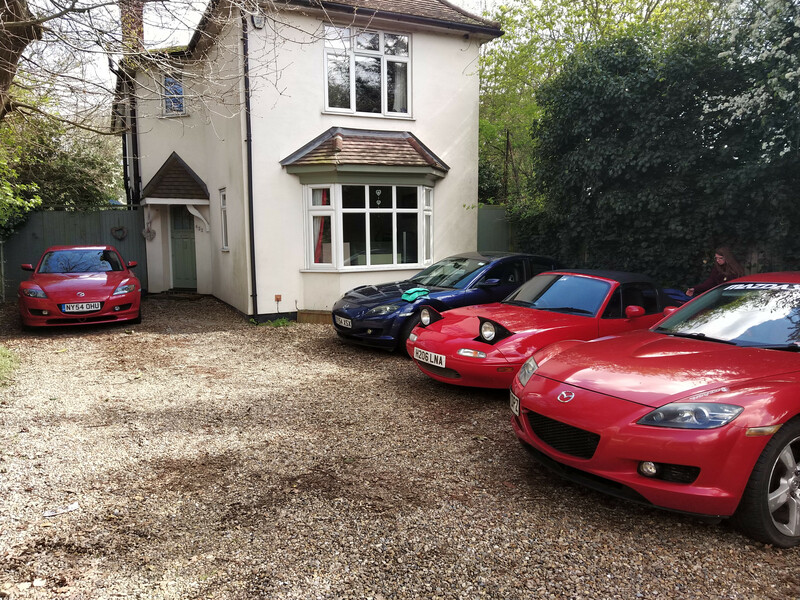 Re: Do you see many RX8's? Mowing the grass out the front this afternoon and was passed by three RX8's a VR, a WB and a White 40th Anniversary. There were also a massive number of MX5s etc with their tops down and more bikes than I've seen in years. Less than a minute after pulling in to the drive in mine, I heard the distinctive note of a rotary, looked to the road and sure enough one was driving past, Galaxy Grey. That's my total seen since owning one up to 2. Yesterday’s trip in the diesel Fiesta was Northampton to Newcastle & back. 452 miles in total. Keep seeing a black S1 around Reading, but other than that I've not seen another for a while. 80 mile round trip to Barnard Castle, rx8s spotted zero. 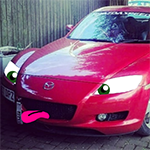 Did see mx5 drift car on a trailer though. Trespassing will not be tolerated! i saw a white 09 plate in the asda rdc car park in abingdon last night. Just saw a Red S1 in a car park in Reading, reg started LD55. Definitely needed a wash! Today’s trip in the diesel Fiesta was Northampton to Norwich & back. 228 miles in total. i saw 3 on the a30 yesterday within about 30mins of each other. a winning blue, a VR and a black pz. Saw a grey one in Weston this afternoon driving on the front but there were none in the big car show that was on! Went all the way to Antigua via Gatwick and home again and saw 1 Black RX8 'ST57..' about 30 seconds before I pulled up on my driveway back at home. None in Antigua but the roads really weren't suitable - some were more pothole than surface though they did have the graders and rollers out on some bits so they're getting better, 'til the next hurricane hits. I was in Antigua in February and saw one! Seriously!